The following positions are available through Western University’s Work Study program. You must be pre-approved for hours before applying. Work study details: It may take up to 4 weeks to be accessed for work study. You will be notified by Western through your email. Jobs are posted on CareerCentral job listings. (Camp Hours: Monday – Friday 8 am – 5pm). 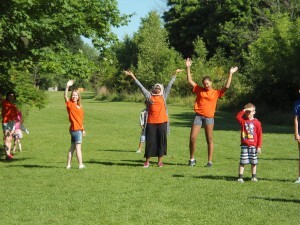 We are looking for fun and enthusiastic Summer Camp Counsellors from June 28 to the end of August. Junior Camp Counselors are responsible for delivering pre-developed interactive themed based programming to children ages 5-9. Themes are related to the broader theme of First Nations, Ontario, and Canadian history, and archaeology. Camp Hours: Monday – Friday 8 am – 5pm. Please email your resume and cover letter to Katie Urban – Learning Coordinator. Working in a variety of areas, the Education Assistant will be responsible for delivering education programs and leading workshops for school, day camp, and tour groups, as well as interpreting the Museum for visitors. The position also offers the opportunity for the successful candidate to be involved in educational program development. For more information, please refer to the Education_Assistant_WorkStudy 2018 posting. Please email your resume and cover letter to Katie Urban – Learning Coordinator. Working throughout the week (weekdays and weekend shifts available), students will oversee the Museum of Ontario Archaeology’s public gallery and gift shop. The candidate will greet and interact with visitors to the Museum, provide them with information on the Museum, and start them on a self-guided tour. Processing admissions and gift shop purchases through a cash register system and inventory management as well as other daily duties are involved. For more information, please refer to the Gift_Shop_Assistant_Work Study posting. Please email your resume and cover letter to Cindy Barrett – Administrative Officer.